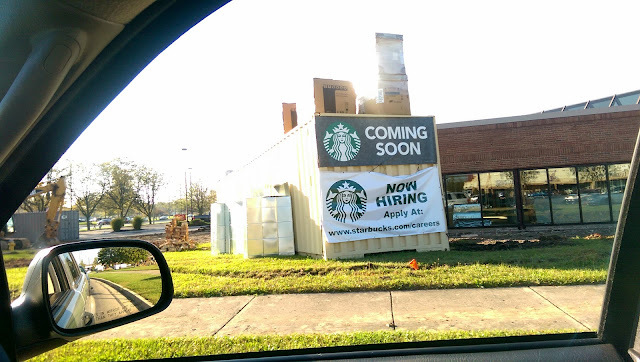 Currently under construction, this new Starbucks, which used to be a bank, will save a mile and a half off my morning commute and put a second cup within walking distance. This will be the area's largest, with plenty of indoor and outdoor seating. No word yet on an opening date. 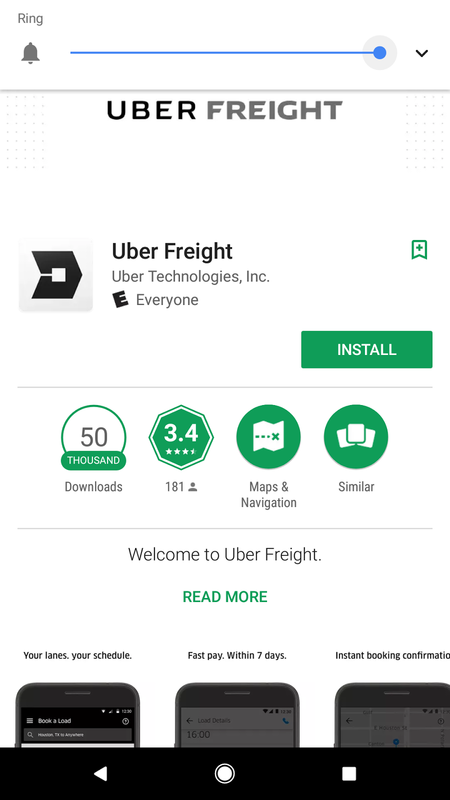 Uber's not just into disrupting the taxi business, they've jumped into the trucking business as well. 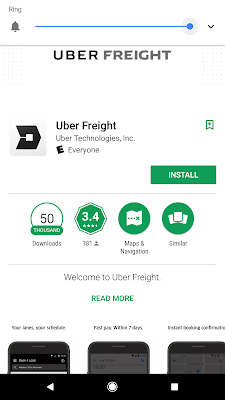 Same basic principle applies as drivers select the loads they want based on their preferences, making real-time trade-offs on making money, distance to travel or being home tonight or by their kid's next sporting event. More driving and fewer hassles sounds like a winner. 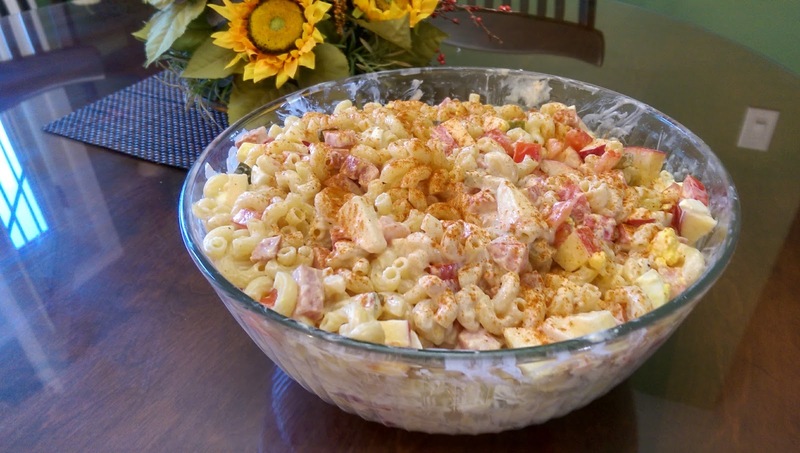 When you're looking for something different for a picnic or family gathering, this German version of the venerable pasta salad is my suggestion. Don't scrimp on the paprika and I suggest bringing a can along so people at the bottom of the bowl don't get left out. Place eggs in a small saucepan, add water to cover the eggs, bring to a boil, turn off the heat, cover for 10 minutes, then rinse and cool. Bring a large saucepan of water to a boil, add salt to taste, add the elbow macaroni and cook per its instructions. 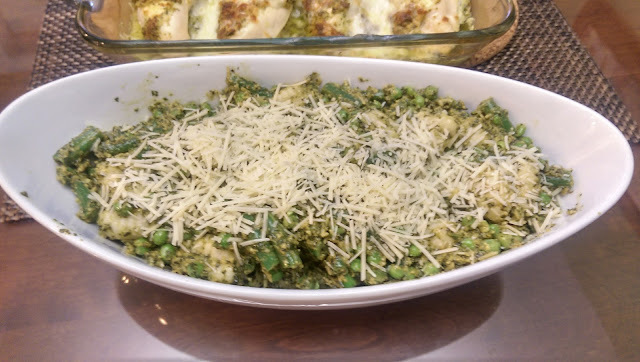 Strain in a colander, let cool and transfer to a large serving dish. Cut up pickles, bologna, eggs, tomatoes and apples into size bite pieces and add to pasta. Whisk together the yogurt and the mayonnaise, add lemon juice (a little at a time to prevent it from getting too bitter), flavor with salt, pepper and paprika. Pour over pasta and stir it until well mixed together. 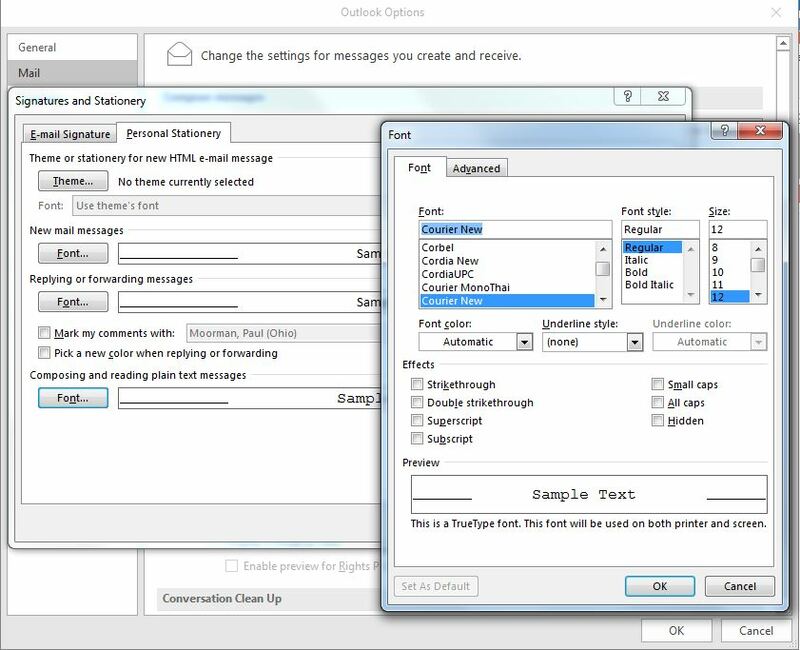 I get various reports by email but Outlook, by default, uses a proportional font to display them, resulting in "crooked columns". 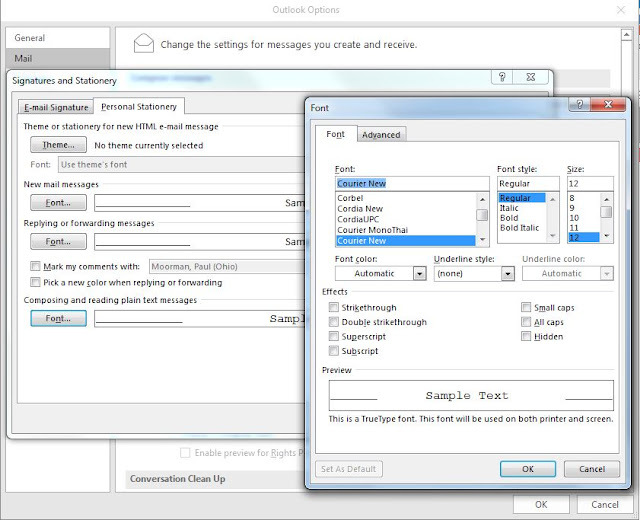 But since just these reports come in as "plain text", I found I can change Outlook to use a non-proportional font, Courier New in the example below, to straighten up the reports and make them much more readable. 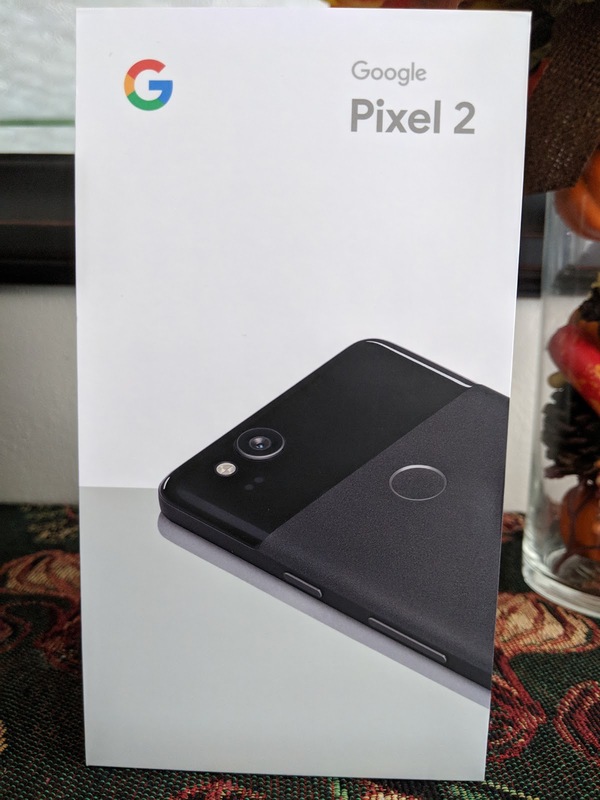 It's been 3 1/2 years and the time has come to retire the HTC M8 and go for the native Google experience with their new Pixel 2. Popped the Verizon SIM card out of the M8 and into the Pixel 2, cabled them together and followed the migration instructions. 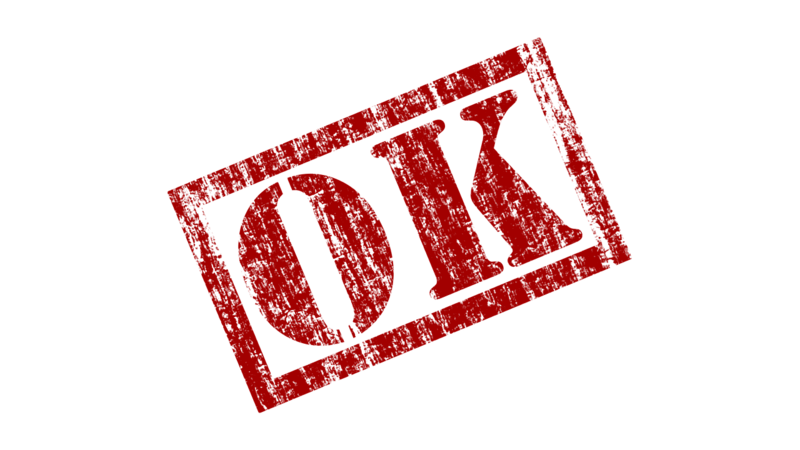 When that was complete my 160 apps came flying down from the App Store. Besides the great camera, my favorite feature is the fingerprint reader located on the back of the phone, much more convenient than an iPhone's. Keeneland was my first trip to watch the horses run live and I learned a lot about betting on the ponies. When I placed a "win" bet, paying only of the horse won, my horse finished second. Playing a "show" bet, paying for finishing anywhere in the top 3, my horse finished fourth. But I've never had so much fun losing so little money. 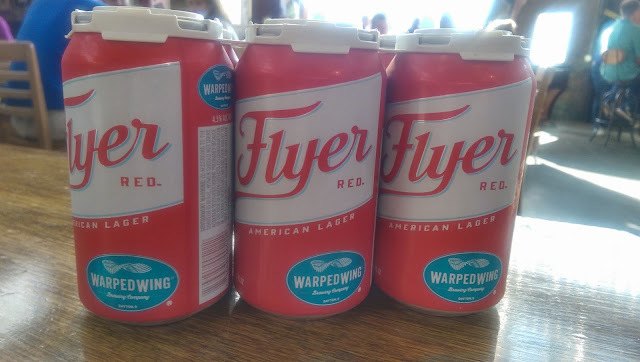 Warped Wing scores another hit with their recently introduced Flyer Red, another locally themed, (Trotwood, Ermal's) easy to drink red lager, sure to please University of Dayton fans. Along with their collection of heartier IPA's, Porters, Stouts, etc. and non-alcoholic root and ginger beers, it's the most complete lineup around. 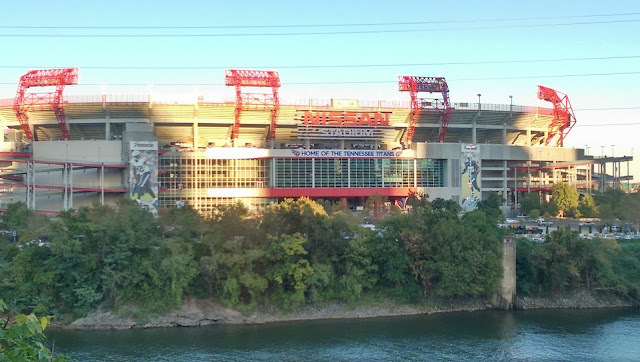 This NFL team came to Tennessee from Houston in 1997 and were still called the Oilers for two more years before adopting the Titans name. The Titans are from Greek mythology, the twelve children of Uranus (Heaven) and Gaea (Earth) who were eventually defeated by their grandson Zeus to rule Olympus. 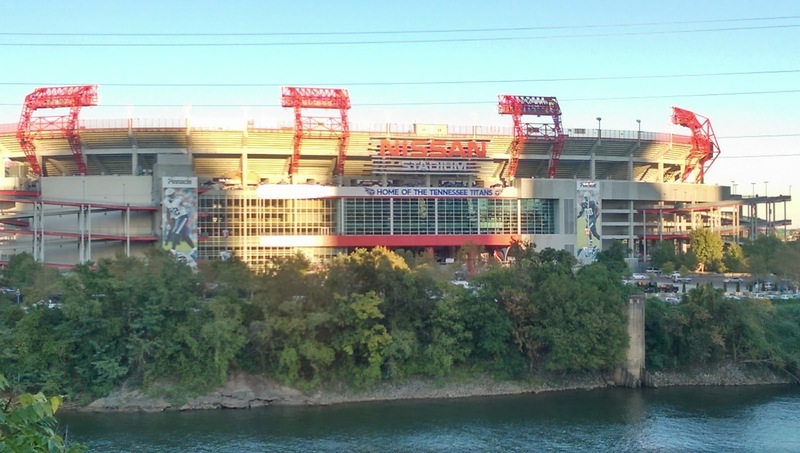 Nashville, home to this franchise, is known as the "Athens of the South" for its history of higher education institutions and the first American southern city to establish a public school system. Now it all fits together. 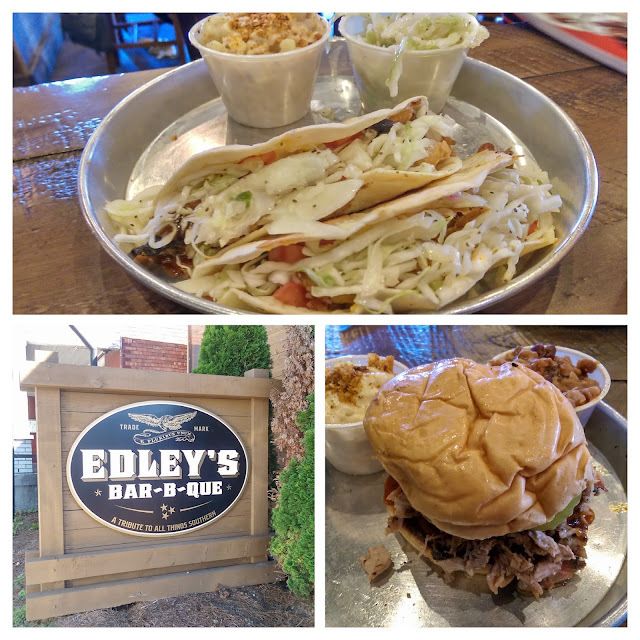 When in Nashville, barbeque is a must and it doesn't get any better than a pork sandwich and pork tacos at Edley's. Stitzel-Weller didn't survive the downtrend of bourbon consumption that started in 1972, eventually closing its doors and selling off its brands. When Tom Bulleit wanted consolidate a number of places he rented to bottle and age his namesake bourbon, he bought this site in Louisville, Kentucky. 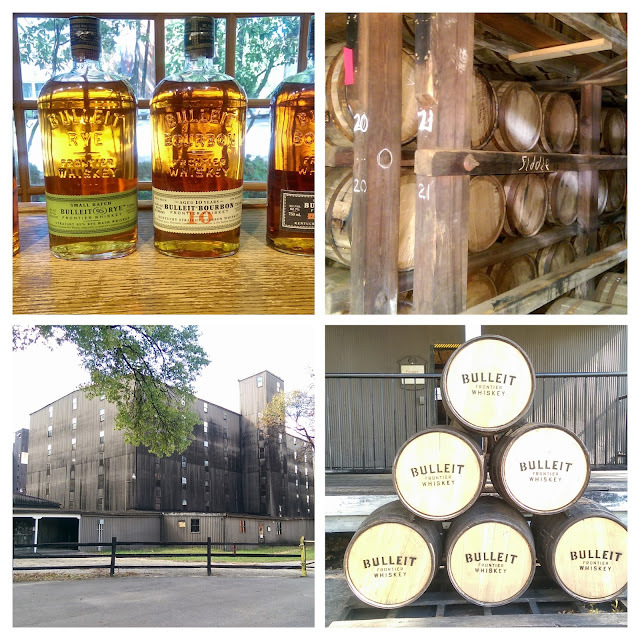 His bourbon uses more rye than others, imparting a unique, sharp flavor, and his rye whiskey is 95% from that grain. 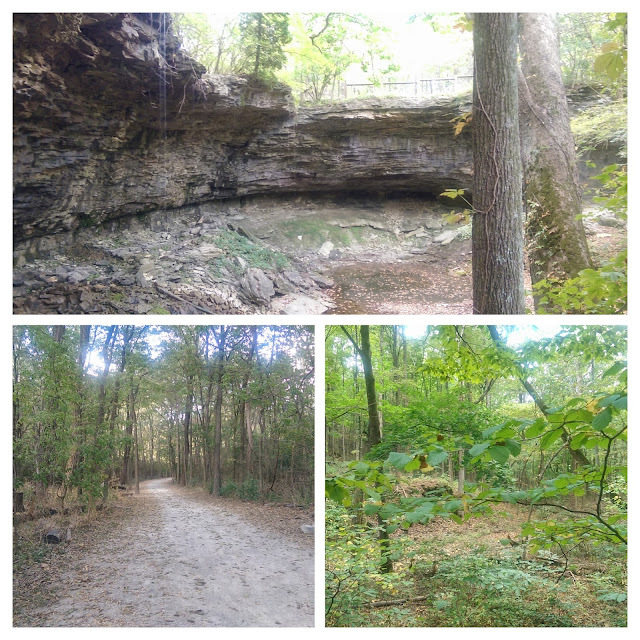 Fun tour! 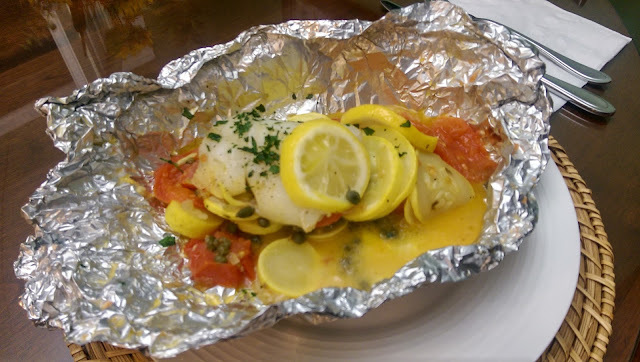 We're always looking for new recipes for fish and this "less mess" combination was easy, delicious and very lo-carb. Careful not to confuse the lemon slices with the squash slices, or suffer a pucker moment. 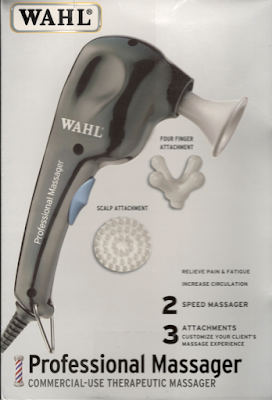 An MVP post-haircut massage at Sports Clips included some neck time with this really nice massager. After learning it was only $30, I couldn't click "buy" fast enough. For those who know me, the scalp attachment is pretty much useless. 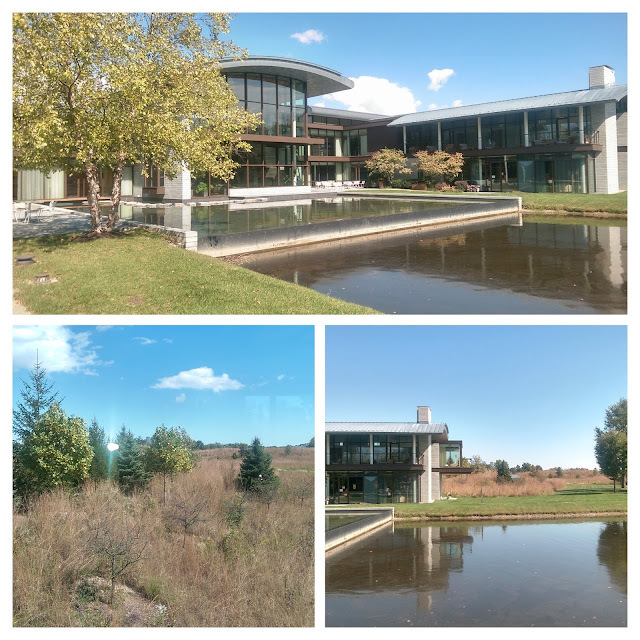 Aileron was founded by Clay Mathile to raise the quality of life in America by unleashing the potential of private businesses through professional management. His facility is located north of downtown Dayton, a beautiful setting for individuals or groups to take the time away from their hectic schedules, attend development workshops or host team events. 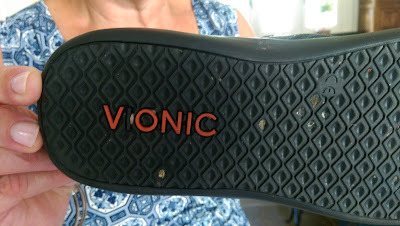 My wife is very particular when it comes to sandals, so when she raves about a pair, that's something to check out. She bought this pair of Vionic at our local Roderer Shoe Center and has had happy toes all summer. What a way to start a morning tailgate party! This is a serving dish full of gooey goodness. The recipes states that it makes "makes 18-24 servings". Who are they kidding? 10-12 is probably closer to reality, at least if you're serving me. 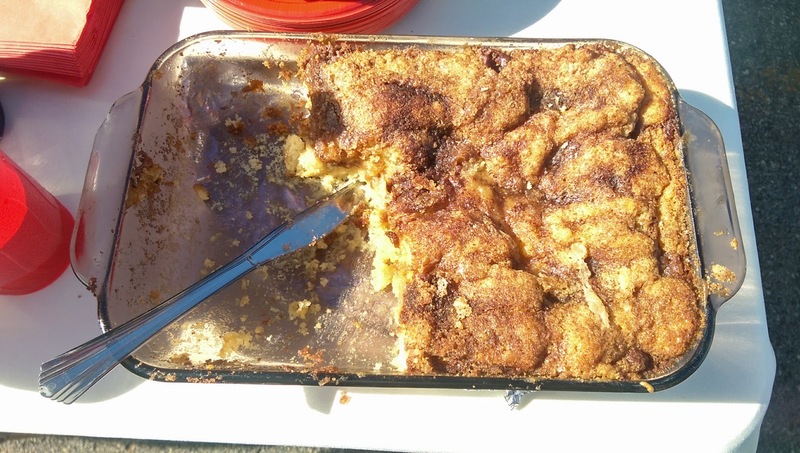 Kudo's to Sharon N. for this "just had to eat three pieces" recipe! Nothing beats the view of a football game than sitting down low (10th row), at the fifty yard line. 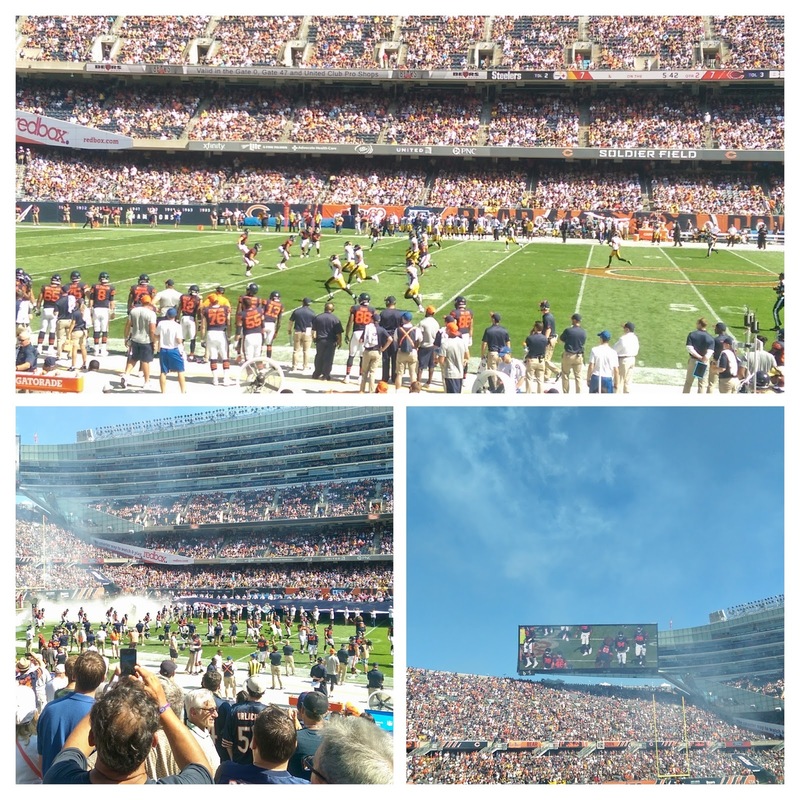 Where better than Chicago's iconic Soldier Field, home of "Da Bears"? Although a disappointing Steelers loss (sorry sweetie), the home crowd rocked with their overtime win. Draw.io is a free (I love free) online drawing tool for making flowcharts, organizational charts, network diagrams, etc., and can save them to Google Drive, Dropbox, OneDrive and others. There's even a Chrome web browser extension for offline mode. 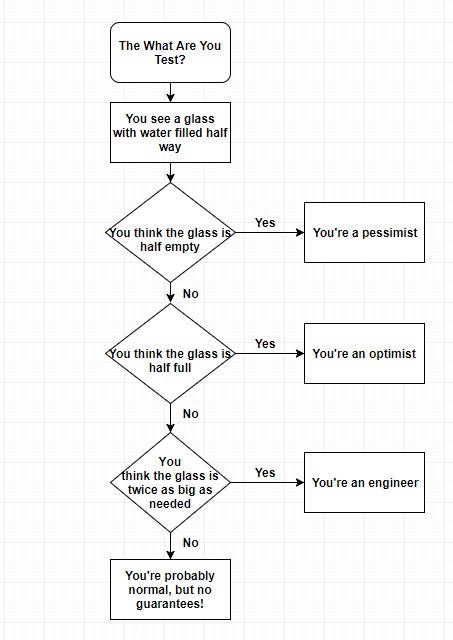 This is a nice alternative to Visio for the occasional diagram. Kudo's to Jon C. for this great find! 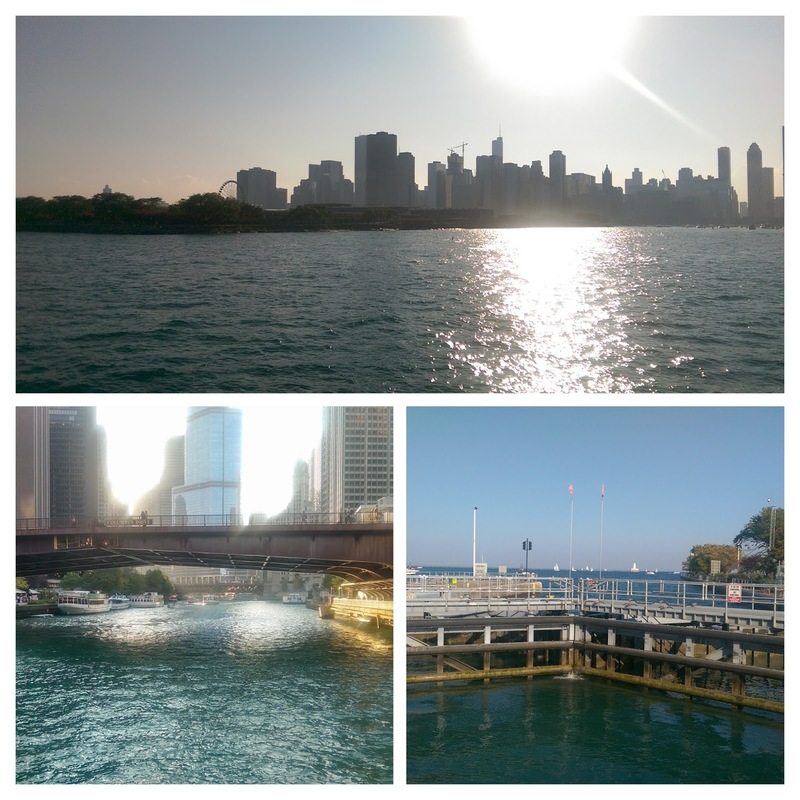 A 90 degree day is perfect for a tour of the Chicago River and Lake Michigan, including the lock that separates them. The lock resulted from the changing the flow of the river from into the lake to away from the lake, a dredging story of mass proportion. Since the lake is a few feet higher than the river, the lock prevents all that extra water from leaving the lake. This video shows the five minute operation from opening the gates just a little to fill the lock, to them being fully retracted and the boats moving through.